The IRWIN VISE-GRIP Original Locking Sheet Metal Tool, 8", makes bending, forming, and crimping sheet metal easier than ever. 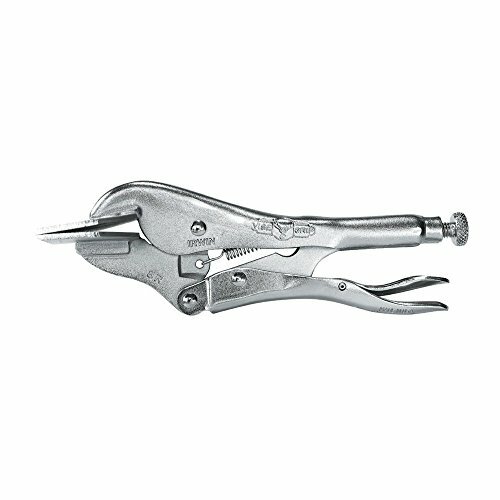 Constructed of high-grade heat-treated alloy steel for maximum toughness and durability, this metal bender also features the original locking mechanism that made VISE-GRIP famous. A turn screw adjusts pressure to fit work, and stays adjusted for repetitive use while the classic trigger release delivers maximum locking force. Backed by the IRWIN Lifetime Guarantee.